I love festivals. Whether it’s a convention or a carnival, I love it when people congregate to show their appreciation for a common interest, or simply to celebrate and have fun. This past weekend, I had the great privilege to once again participate in Toronto’s Word on the Street festival celebrating reading, literacy and the written word. As a member of the Toronto Romance Writers, the Toronto chapter of the Romance Writers of America, I got to connect with readers and hand out promotional items for my own books while advocating the group that helped me learn the craft of writing, as well as educate me on the publishing industry. This is a fantastic annual outdoor event that draws thousands of lovers of books and more. I’m proud to say I’ll be with TRW again at a brand-new book festival in November called Inspire! The Toronto International Book Fair. I’ve yet to go to either the RWA Nationals conference or the RT Book Lovers Convention, but one day I hope to, if only to meet my wonderful colleagues who write for Harlequin Superromance. This was on a slow day. 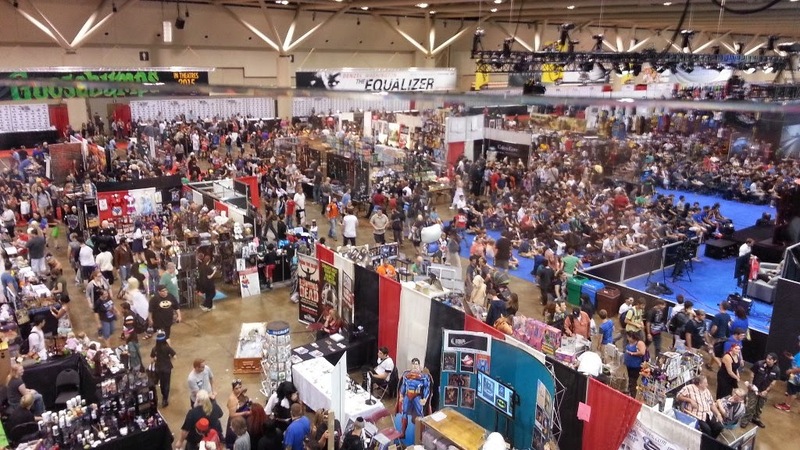 A month earlier, I went to FanExpo Canada, the Canadian equivalent of San Diego Comic-Con. This is one of my favorite events, with guests, celebrity autograph sessions and panels, workshops and shopping galore. It’s a chance for me to indulge the geekiest parts of me and to see the pageantry of fandom in all its glory. One day, I hope to go to SDCC, but for now, I’m content to stay on home soil, since so many wonderful guests come to Toronto. One day. I’d also like to go to a Renaissance fair. Call me a romantic, but I love the idea of medieval-themed gatherings. Walking around a fairground with a roasted turkey leg in hand is on my bucket list. And since the airing of the Outlander TV series, I wouldn’t mind seeing a Scottish Highland games event, either. Who doesn’t want to watch burly men in kilts hucking logs across a field in a caber toss? What kinds of festivals do you like to go to? Are there any you’ve always wanted to attend? Let me know in the comments below! I've never been to a renaissance faire or a highland games either, and I want to go! I recently went to an art and wine festival with some girlfriends. It was a nice way to relax together, looking at pretty stuff and drinking great wine! A Renaissance Fair would be so much fun. Any kind of book event would be fabulous too.